WHY USTA TEAM TENNIS & LEAGUE? USTA league teams is great way to introduce players to competitive tennis. At our academy, the team leagues are taken even more seriously. 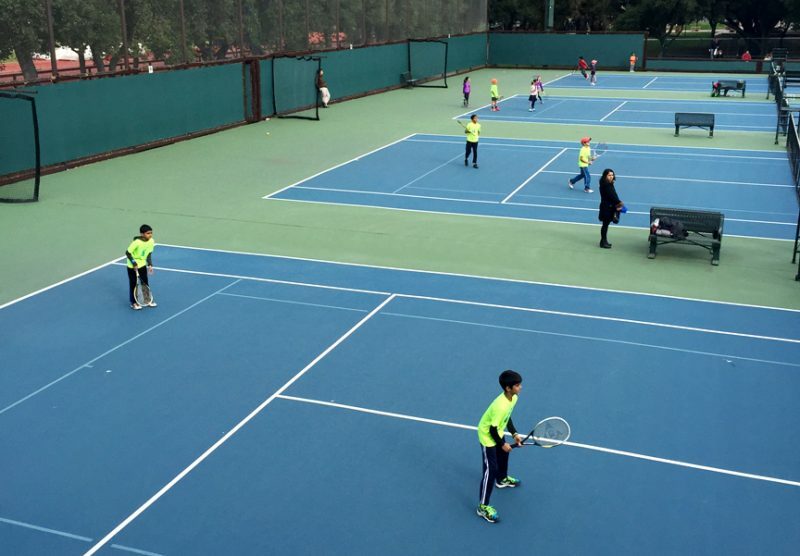 Players may start playing league at an early age as young as 7 and progress through our team USTA league system. Our league program (10U and 12U) is designed specifically for competitive players development that goes hand in hand with the training we have at the academy. We no longer offer team competitions for yellow ball because we believe that players should focus on individual tournaments once they reach that level. 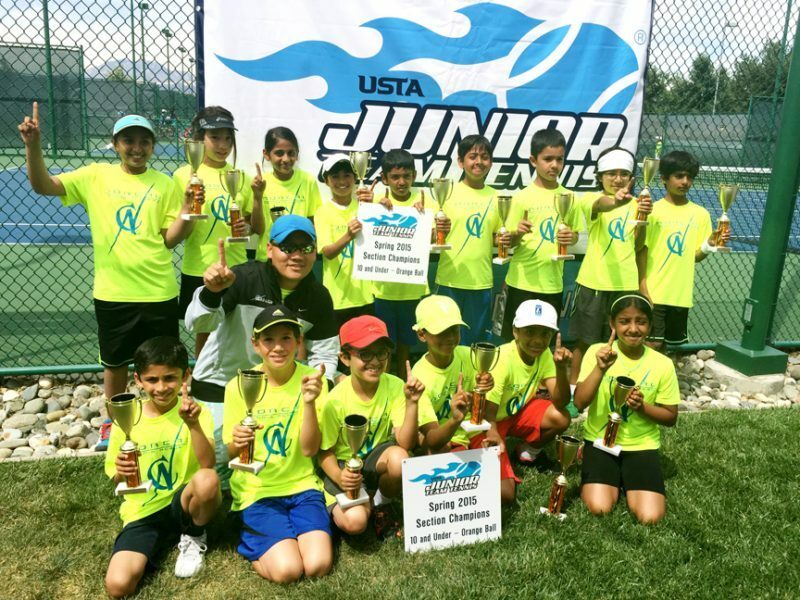 Once players who went through our league progressions, they should be ready to take on higher level USTA tournaments in the 12s, 14s and so on. There are 3 seasons in each calendar year, from March-May, June-August and September-November. Why did we discontinue the 12U and 14U Yellow ball Team League Program? Our 12U and 14U yellow ball teams had experienced great success in the past at local leagues, sectionals and even winning the 1st place sectional championships. Our 14U team also went undefeated during the season. However, the busy league season proved to be difficult for our competitive players as it takes time away from their individual tournaments. At this stage, they should focus on individual tournaments. Starting the Spring season of 2018, we discontinued the team programs for Yellow-ball. For serious yellow-ball players, please see our coaches for guidance on USTA and ITF individual tournaments. HOW A TEAM IS FORMED? During a busy league season such as Spring and Fall for us. We have up to several teams competing on a weekly basis throughout the south bay area. Our coaches consider the level of play and experience of each player when we form each team. Usually, we would like to have 2-3 more experienced players on each team while filling in the rest 2-3 position with newer players. It is possible that we also could form a team consisting of mostly less experienced players. This team will often be placed in a weaker league (group) to allow new players to gain some competing experience. These players will then can join stronger teams in the future. 4 singles + 4 doubles matches. Top 4 players must play singles in the order of strength. Each match is best to 4 games. Team with the most games (not matches) won will win the entire match. Each match is best to 6 games. Team with the most games (not matches) won will win the entire match. By the end of each season, teams with winning records will advance to Regional championships, if win, will then advance to Sectional Championships. At Sectionals, many top teams from all over the Bay Area will come together and compete for this top prize. More information is available below. Usually, we will have 2-3 stronger players to support 2-3 less experienced players on each team. The top 4 strongest players will get to play singles and they will team up with weaker players to also play doubles. Throughout the league season, players may challenge each other to gain higher position on their team and therefore to compete at higher position. However, when a top player who might beats everyone of his/her teammates during challenge matches but struggled to produce results for the team may be moved to lower position -at our coaches’ discretion. It happens quite often that we might have a team consisting of many players who at the same level. In this case, each week, our coaches will rotate the players so that everyone can get a chance to play singles and/or doubles. Our coaches will make a determination on the roster each week to maximize our strength during competition -especially when facing a strong opponent. At the end of each league season, Regional Championships will be held to qualify teams into the next round -which is the Sectional Championships. South Bay area usually consists of stronger teams. In addition to the league registration, the USTA requires separate paid registration for players who participate in regional and sectional championships event, we will charge 1 group credit (from the group lesson package) for players who participate in each event. The USTA requires that all team rosters to be submitted before each sectional events. Once submitted, our coaches can not alter or change the roster during the entire sectional championship. For teams with players at the same level, we will hold challenge matches to confirm the roster before submitting to the USTA. For teams with a combination of strong and less-experienced players, there won’t be too much changes to the rosters. For players who lack experience and competitiveness, our coaches might allow very limited number of matches during sectionals to ensure that stronger players could represent the teams more during stiff competitions. Our league fee for the season is $250, including 5-8 team matches. Almost always, we will qualify for regional and subsequently sectional championship. If qualified, we will charge one group credit to cover the registration and fee for players who participate in the regional and sectional championships (the USTA requires additional registration and fee for each of these events). At each event, our teams will likely play 2 more team matches. Together, each team potentially could get to play around 10 team matches and based on our record, we do quite well –winning 23 consecutive Sectional Championships. Our league program ties in with the competitive development of our players and one important aspect is team work and leadership. Each player competes for the team as a whole and together we will win as a team.